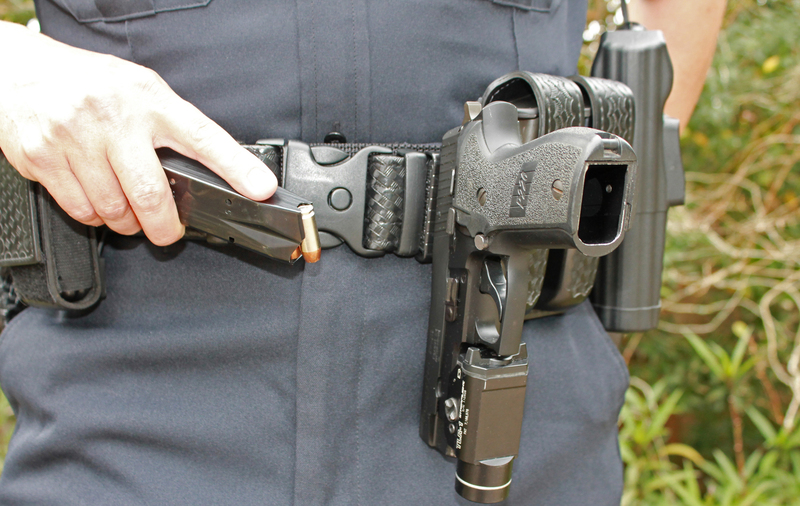 When working through a support-hand holster draw, an officer practices a simulated incapacitation of his or her dominant hand. Since the orientation of the firearm is backward during the exercise, the officer has to regrip the gun. This can be a precarious and dangerous proposition. 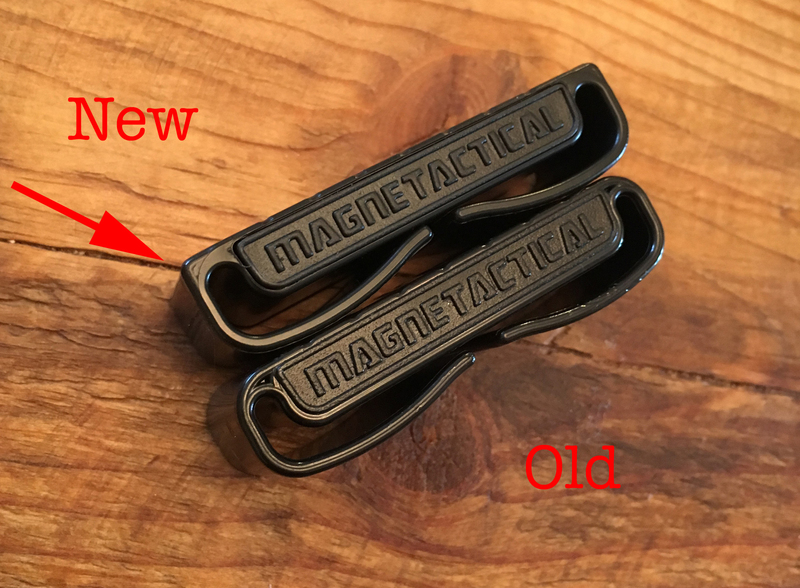 The Magnetactical clip can facilitate a quicker, safer transition. In the above two photos, you can’t tell, but I am standing with my dominant leg forward and my support leg back. That pulls my pelvis, leg, and foot away from the line of the barrel and makes this manipulation as safe as it can be. Much like racking your slide on the duty belt or holster lip, care must be exercised when performing a maneuver such as this. 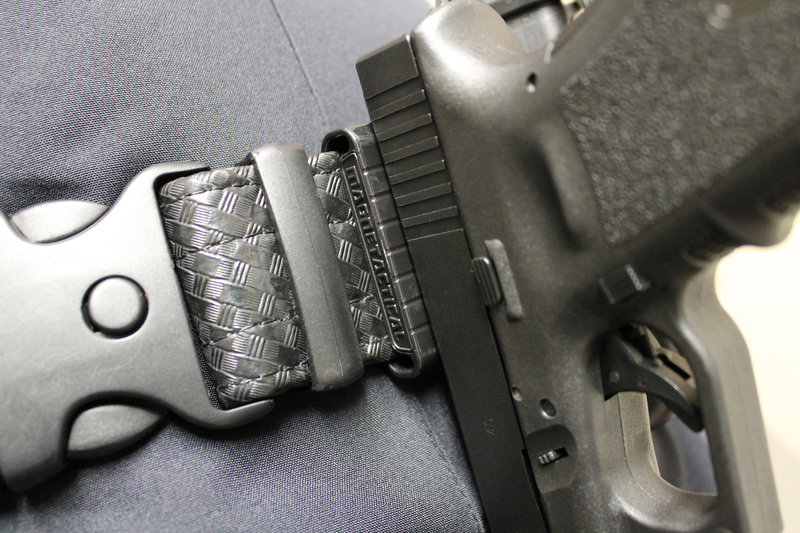 In addition to reloading/regripping, the Magnetactical belt clip can be used to grab on to other items while an officer is otherwise occupied. Ferromagnetic materials such as keys, tools, knives, or other weapons taken off a suspect can be temporarily affixed to the magnet during a search. 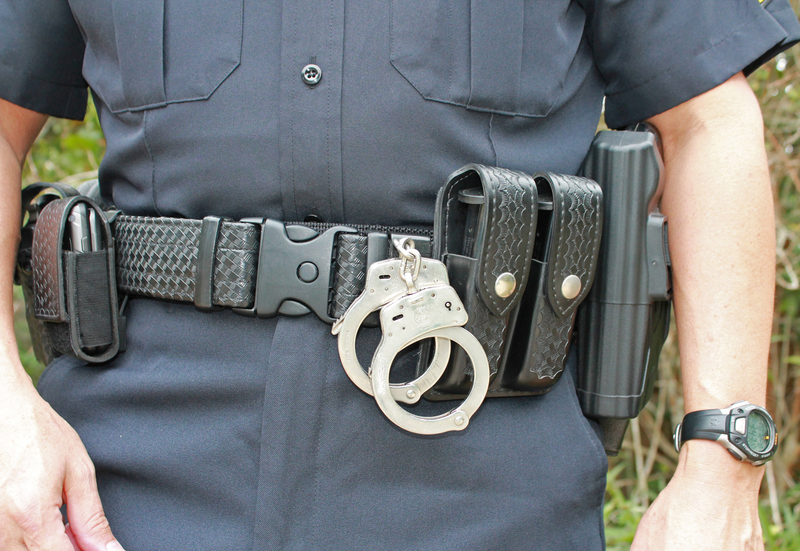 Stutz strongly emphasizes “temporarily.” If the items can be given to another officer or secured in a safer manner, then that should be the procedure. Sometimes there is no other option than to seize the property and briefly retain it on your person. How many times have you found a knife or gun on a perp, only to be forced to shove it into your waistband? This has happened to me more than a few times. I like the idea of being able to stick the contraband to this magnet for a moment while safely maintaining control of the suspect. The magnetic clip can also be used as a “third hand” to grasp spare mags, handcuffs, and multi-tools while you are working. 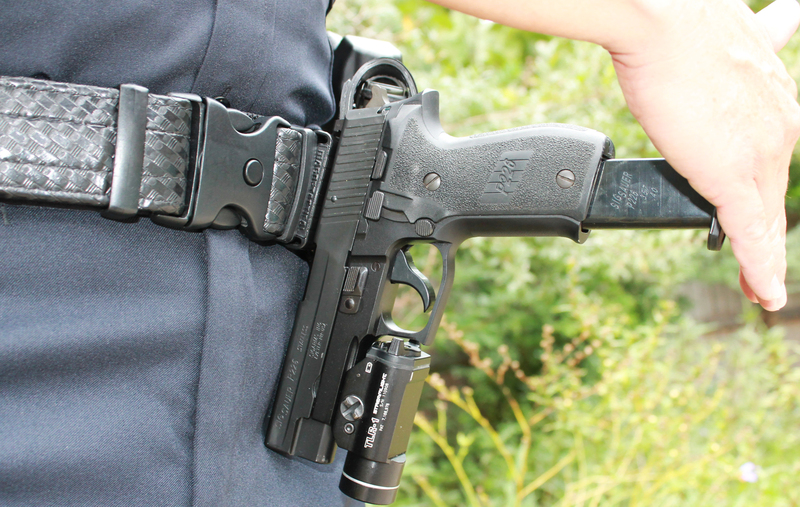 If you use a flashlight containing enough ferrous metal, like the Streamlight Stinger I carry, then the Magnetactical belt clip can be utilized to hold it during low- and no-light handgun mag changes without reholstering the light. Your torch can be indexed on the magnet while you quickly reload with both mitts. In no-light situations, the flashlight could be left illuminated downward for help in clearing a life-threatening malfunction. Stutz said he went through much engineering and testing over the last three years to come up with the current product. The neodymium (rare earth) magnets must be of sufficient strength to hold a ferrous metallic object without being so strong as to prevent its removal. Stutz said he obtained some magnets that were so powerful that a gun would not come loose without serious prying. Stutz eventually settled on a tenable magnet. Another challenge Stutz faced was finding the right polymer for the Magnetactical’s housing. He worked with a local Utah company to come up with a durable plastic formulation that was impervious to chemicals and to reasonable extremes in heat and cold. The clip needs to encase the magnet and also serve as a proper mounting device for duty belts of various sizes. Many designs were evaluated. 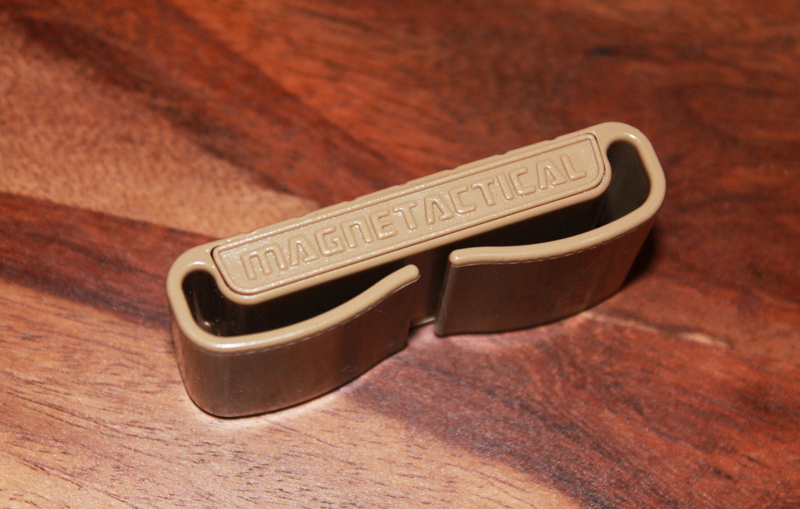 I was sent three samples of the Magnetactical belt clip, one each in black, olive drab, and sand. A perusal of the terms on Stutz’s website warns the user to keep credit/debit cards, key fobs, key cards, magnetic tapes, CRT screens, computer monitors, and like equipment away from direct contact with the magnetic field as it may deactivate or damage them. Stutz says smartphones are not affected by the Magnetactical clip. He has even gone so far as to place his personal iPhone directly against the magnet. His cell phone was unscathed. But since there is such a strong magnetic field, one should avoid any unnecessary proximity with valuable electronic devices to the clip. 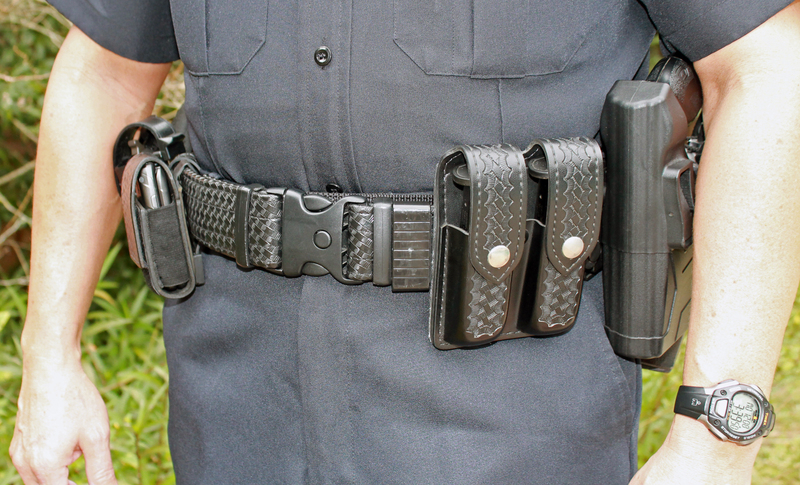 I have road tested the Magnetactical belt clip during uniformed patrol and SWAT training. It is unobtrusive on a duty rig. I can think of times I would have employed the Magnetactical clip by placing my multi-tool on it instead of in the mud while seizing a license plate or using the magnet when swapping handcuffs on a prisoner. Practicing with the Magnetactical clip, I found that a full-sized duty pistol with a rail-mounted light can be supported by the clip. Because my Sig Sauer P226R has a slide that is slightly rounded on the top, Devin suggested placing the leading edge of the rear sight on to the upper portion of the clip. This held the gun better. A pistol with a flat top slide, like the Glock, is even more secure. For grins, I tried sticking a Smith & Wesson Model 442 to the magnet. Since the revolver’s frame is aluminum alloy, the carbon steel cylinder had to suffice. I found that I could feed live rounds into the open cylinder with one hand in this manner. Cool. 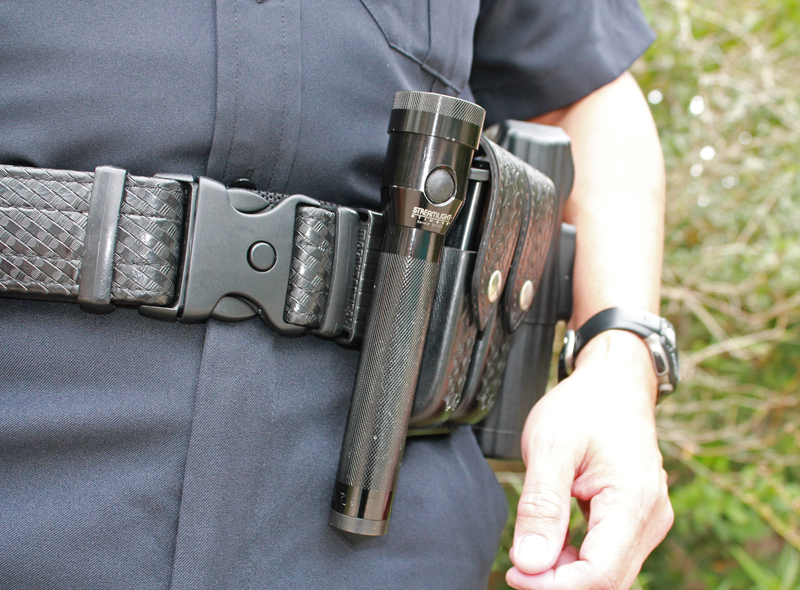 The Magnetactical clip can be used outside of law enforcement work. Devin told me a relative wanted to use one to hold his knife while field dressing deer so the knife’s blade would not be covered in dirt. I admit that I have used it as a steel shot holder when I practiced with a new slingshot (Man-at-Arms training in progress). Devin confided that a couple of federal agencies are preparing orders for his Magnetactical belt clip. He is also exploring its uses in other industries and hobbies. 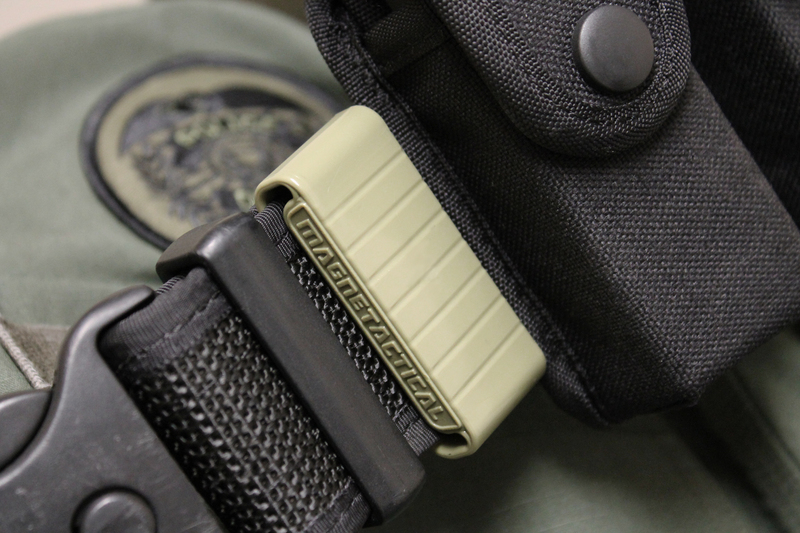 The MSRP for the Magnetactical belt clip is $35.00. This rare earth “sorcery” is inspired. I predict that Devin’s product will capture many more fans in its magnetic field. This entry was posted in Firearms, Officer Safety, Tactics, Technology. Bookmark the permalink.